Dr. Chantasi attended New York College of Osteopathic Medicine where he was awarded his Doctor of Osteopathic Medicine. Dr. Chantasi received his undergraduate degree from Fairleigh Dickinson University, majoring in Bachelor of Science in Biochemistry. 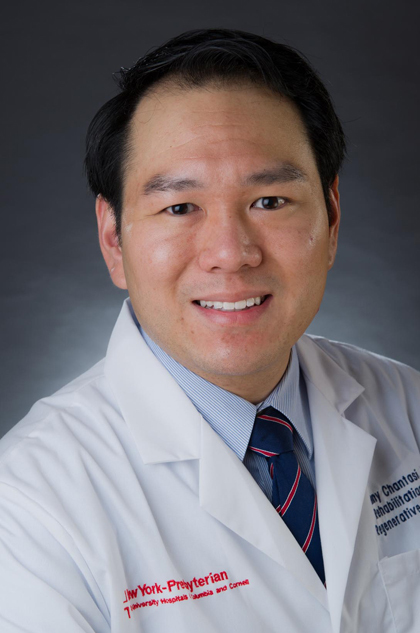 He completed his residency in Physical Medicine and Rehabilitation at Nassau University Medical Center, and also completed his Internship at Nassau University Medical Center. His areas of clinical interest are pain medicine, chronic pain management, spasticity management with botox and intrathecal baclofen, and medical manipulation.